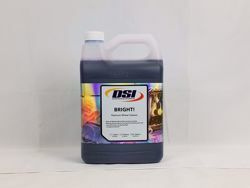 Bright Wheel Cleaner is a powerful concentrated heavy-duty water-activated wheel cleaner. Formulated specifically for chrome and factory OEM Wheels. It quickly and effectively removes heavy dirt, road film, grime, brake dust, rust, oxidation and other stubborn contaminants. Please always ensure surfaces are cool before use. Body Shop safe and VOC Compliant.